Kroger Mega Event: 71% Savings! 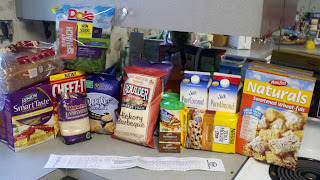 This is a great set up for beginners because it includes ALL printable coupons, and you can get a good amount of quality groceries, for very little. Instant gratification! The Kroger Mega Event states you have to buy 10 Participating products to get $5 off your entire bill (Or .50 a product) You can buy more, just make sure it is in groups of 10 products, to get the discount. My plan includes buying 20 products, so a total of $10 off! M&M's Movie Cash Instant Win Game! Groupon Mobile App: $10 Groupon Bucks!